The sites contained in our link portal are seperate Web sites. We can not be responsible for content contained on other sites. Please use your own judgement when surfing the web. Interested In A Fitness Link Exchange? Notice to our current link partners. We recently redesigned our links section. If your link was accidentally removed, please use the form below to contact us. Please supply the location of our reciprocal link. 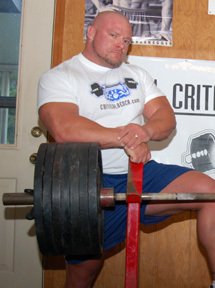 Critical Bench is always looking to trade links with other web sites that offer a product, service, or resource that could be found beneficial to our visitors. Feel free to download any of these banners if you would like to link to Critical Bench. Use the form below if you would like to request a reciprocal link to your site. Each request will be reviewed individually. 1. 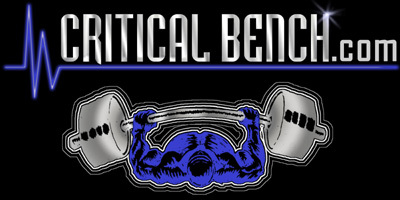 A link to www.criticalbench.com is required PRIOR to the addition of your link, no exceptions. 2. Prescription drugs, pharmacy, adult, hate or anything else offending.. NO THANKS!! 3. Only real links, no date base driven 'jump links'. This means the link must point directly to www.criticalbench.com, and not go via a direction in your database listing. 4. Links to www.criticalbench.com must come from the same domain you are submitting. Not interested in 3-way trades. 5. A link to you links page must be somewhere on your main home page. The links section needs to be connected to your site. 6. Each site is reviewed individually and may or may not be accepted. Submit your request using the form below. Description: "You Were Born Small & Weak But Nobody Said You Have To Stay That Way."